Unfortunately for the rightful beneficiaries of an estate, even a frivolous will contest in San Diego will cost money to defend. Probate litigation in California can quickly become an expensive endeavor. Finding a knowledgeable, experienced attorney to handle your matter can help reduce the overall cost of defending against the claim. It is vital that you have the right lawyer in your corner in order to protect the interests of the estate and its beneficiaries. In conclusion, while the costs of defending a will contest may add up, it is necessary in order to protect the estate assets. Hiring the right attorney will help to keep costs of defending a will contest under control by ensuring that the case is handled as efficiently as possible. 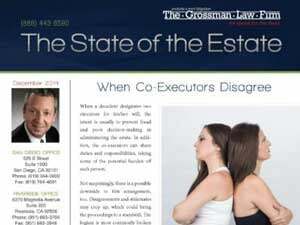 It may also reduce the likelihood that the estate loses financial assets as a result of the will contest. As you begin the process of finding a probate litigation attorney to assist you, review our article, “Five Questions to Ask Before Hiring a Trust and Probate Litigation Attorney,” for helpful information. 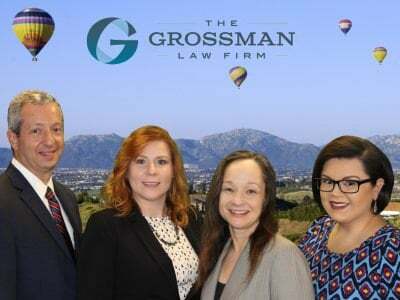 Contact Scott Grossman, the experienced San Diego probate court litigation attorney at The Grossman Law Firm, for a consultation. Call our office today at (888) 443-6590. It would be our pleasure to further assist you. Litigation is the act or process of bringing a lawsuit to enforce a particular right. This can include Will contests, Trust Litigations, and Probate Litigation. The process of proving in court that the will of a person who has died is valid. It involves proving before a competent judicial authority that a document offered for official recognition and registration as the last will and testament of a deceased person is genuine. Not all wills must go through this in California. See our infographic to help you determine if your loved one’s estate must go through probate. 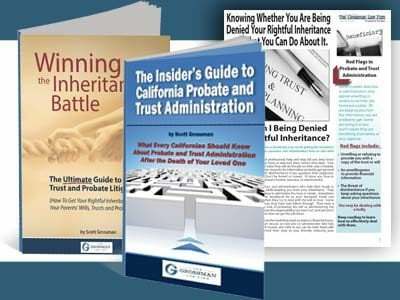 Does it cost more to hire a California certified specialist for a Temecula probate?